Home Events Coming Up Union Square Sweat Fest is Back for 2019! The Union Square Partnership has announced the line-up for its 2019 Union Square Sweat Fest. Now in its fifth year, the wildly popular series will feature a schedule of new classes and programs with Union Square’s top health and fitness businesses, presenting a unique opportunity for the public to experience the best of the neighborhood’s wellness scene. 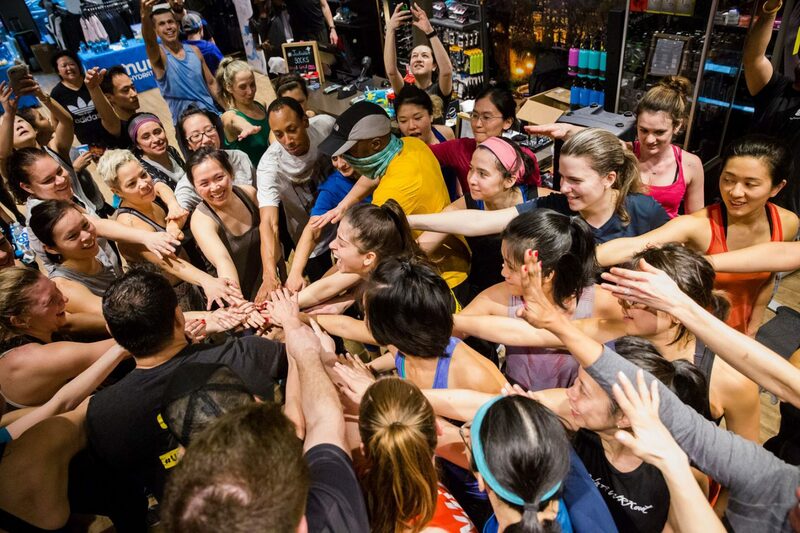 The event – which will kick off on February 7th and run through February 12th – will feature more than 50 participating gyms, retailers and studios, offering over five Sweat Fest Experiences, four Gyms of the Day, and three Retailer Classes. 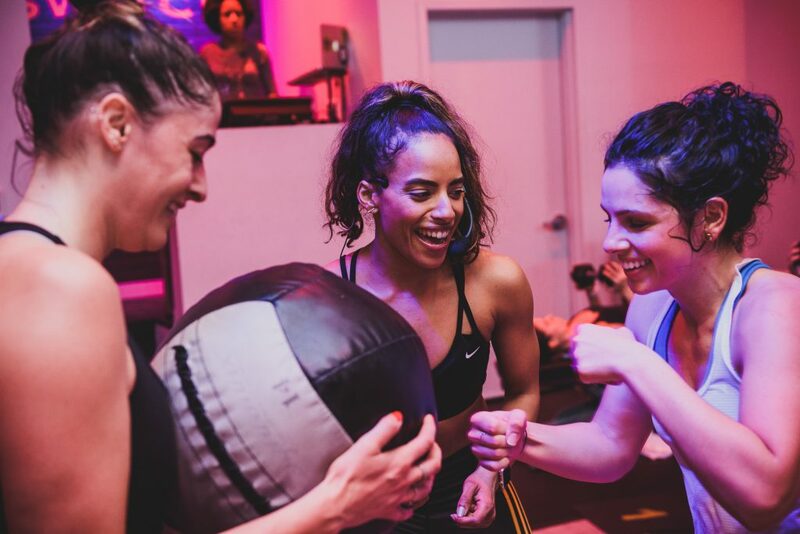 Fitness enthusiasts can workout at any Union Square studio, show proof of purchase, and redeem a Sweat Fest Swag Bag from the Partnership. 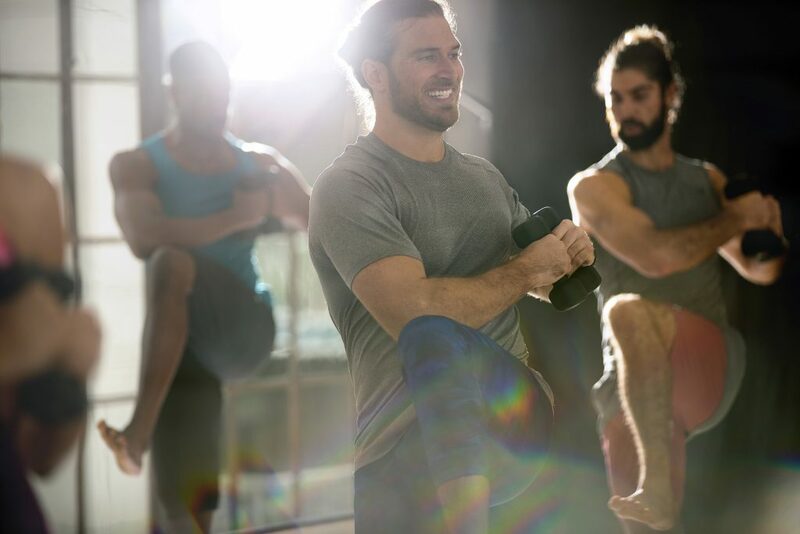 Participants can also workout for free at top athletic retailers with in-store classes including Paragon Sports, Athleta and JackRabbit, as well as select gyms. Guests can kick off the 5th Annual Union Square Sweat Fest with Andia Winslow, a professional golfer, sports performance coach and founder of The Fit Cycle. Winslow created a fitness routine exclusively for Sweat Fest that combines cardio, conditioning and stretching with group training. Participants can also enjoy snacks, wellness activations with Innisfree and Ling Skincare, and beats spun by DJ Commish. The ticket includes an official Union Square Sweat Fest shirt. Sweat Fest goers can take a private Yoga Sculpt class, and get powered post-class with refreshments. The ticket also includes a Union Square yoga mat and a free consecutive week of CorePower Yoga classes. Join the Sweat Fest Beginner’s Brunch with two golf simulators, three golf pros, and enjoy a brunch with bottomless mimosas, wine, beer and soft drinks. Those who purchase tickets will also receive a Union Square sweatband. Participants will join Boxing Fit class, where they can learn boxing fundamentals while incorporating body-weight high intensity interval exercises. The event will offer pre-class shopping at Everything But Water, and participants will get fueled after class by Dig Inn. The ticket will include a Union Square beanie and a free class at Throwdown NYC. SWITCH Playground incorporates cutting-edge fitness technology with state-of-the-art facilities. An instructor will lead the HIIT class, along with a team of highly skilled trainers, through a labyrinth of 20 playground activities. A live DJ will fuel the energy during this one-of-a-kind playing field that is transformed into a theater of fitness and wellness. The party will continue after class with food and beverages from CAVA, evian and more, as well as mini-manicures by Côte. The ticket will include an official Sweat Fest duffle bag, sweatband, and a free class at SWITCH Playground. The Partnership also produces a Health + Fitness Map as part of the program detailing the over 100 wellness focused businesses in the neighborhood. New spots to explore in 2019 are studios CorePower Yoga, Five Iron Golf, The Shala Yoga House, Throwdown NYC, retailers and eateries Everything But Water, Champion Coffee, Panorama Middle Eastern Grill, Rescue Spa, Teazzi and Tender Greens. 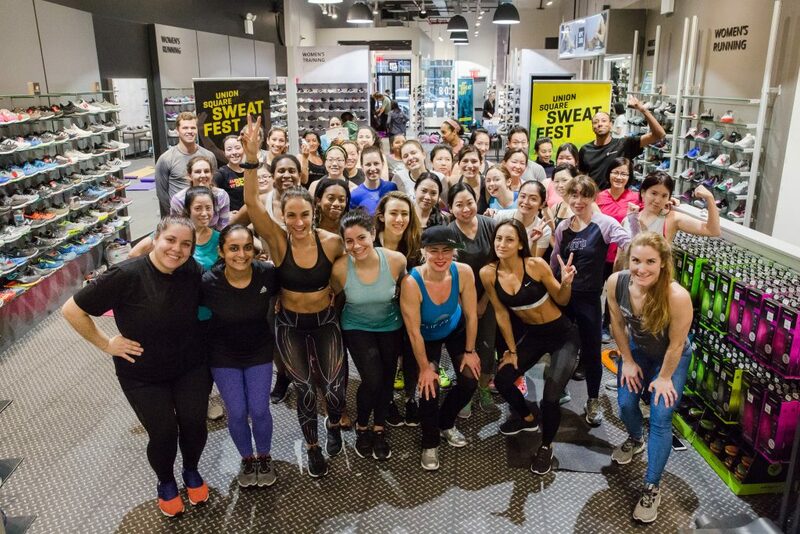 Union Square Sweat Fest is produced in partnership with fitness and wellness event company, FIT+LOVE. Sweat Fest classes have a limited capacity and are made available on a first come, first serve basis. Class registration opens on Tuesday, January 29th. Select classes are complimentary and some require advance purchase. For additional information on the week’s line-up and to register for classes, please visit http://www.unionsquaresweatfest.nyc, and follow @UnionSquareNY and #USQSweatFest on social media.